Like when it'll make its debut. 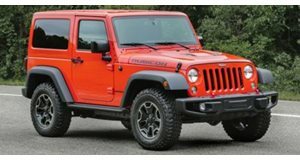 Thanks to the crew over at the , we now have some fresh and very interesting details regarding the upcoming redesigned Wrangler. The information directly comes from an anonymous source who attended an FCA event last week for a select group of Jeep dealers to learn . According to what was presented there, the 2018 Jeep Wrangler will make its official debut this November at the LA Auto Show, and will first arrive in dealerships in mid to late December of this year. Under the hood will lie an updated 3.6-liter V6 that will be paired to either a six-speed manual or an automatic. The will be automatic only, however. But the real interesting piece of information here is that a diesel engine is happening, but it won’t arrive until sometime later in 2019, pending EPA certification. Something else that won’t be available upon launch is a power sliding hard top. That will come in late 2018. Other stuff that came from this information sessions is that the new Wrangler will have a longer, though we don’t know by how much, wheelbase than its predecessor. A push button start is confirmed as are 33-inch tires for the Rubicon trim. 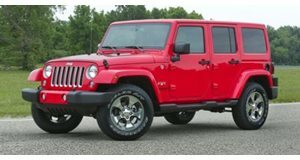 Fortunately, most aftermarket parts for the current Wrangler will also fit its successor. The challenge for Jeep has been to finding the ideal balance between updating the iconic Wrangler for an era with growing fuel emissions while maintaining its purist off-road nature. We’ll find out whether this has been accomplished this fall.